Item # 266153 Stash Points: 5,499 (?) This is the number of points you get in The Zumiez Stash for purchasing this item. Stash points are redeemable for exclusive rewards only available to Zumiez Stash members. To redeem your points check out the rewards catalog on thestash.zumiez.com. 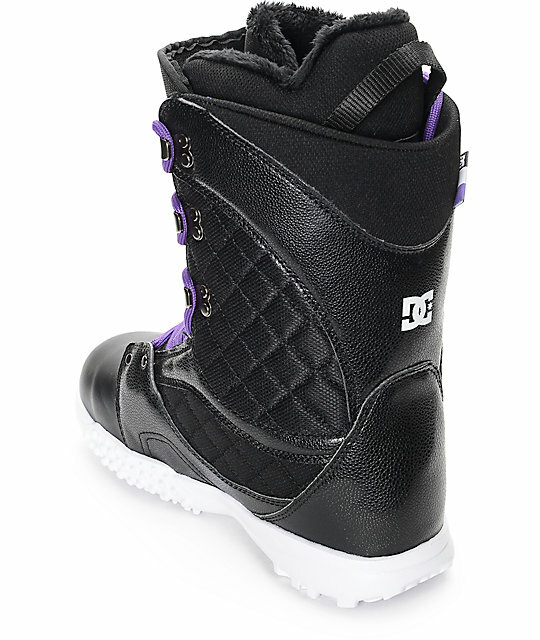 A stylish combination of simplicity and comfort, the DC Karma Black Womens Snowboard Boot will help keep your snowboard gear up to date. 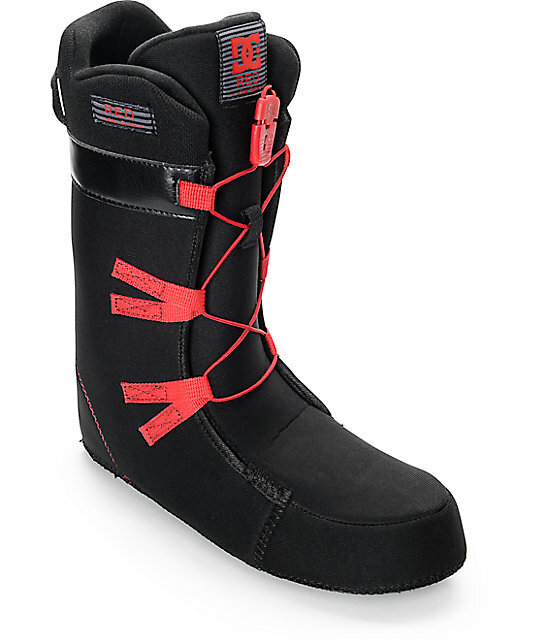 Fitted with a traditional lace system strategically designed for a secure fit and DC's Red Liner using multi-layer construction with EVA memory foam, all for a snug comfortable feel. 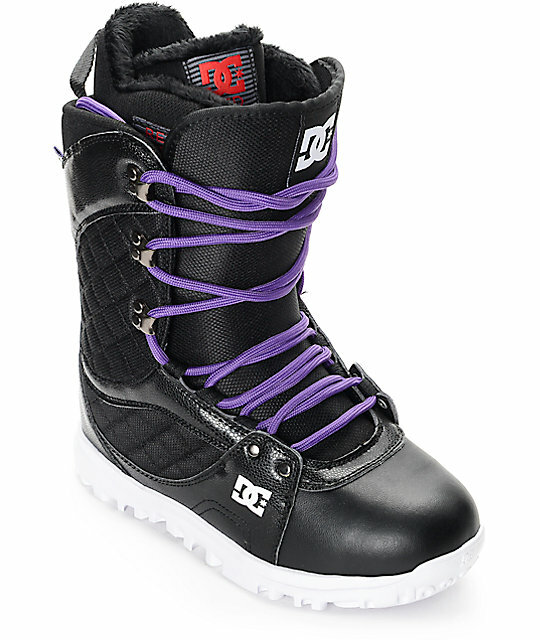 A great snowboard boot with style to keep you looking fresh on the mountain. 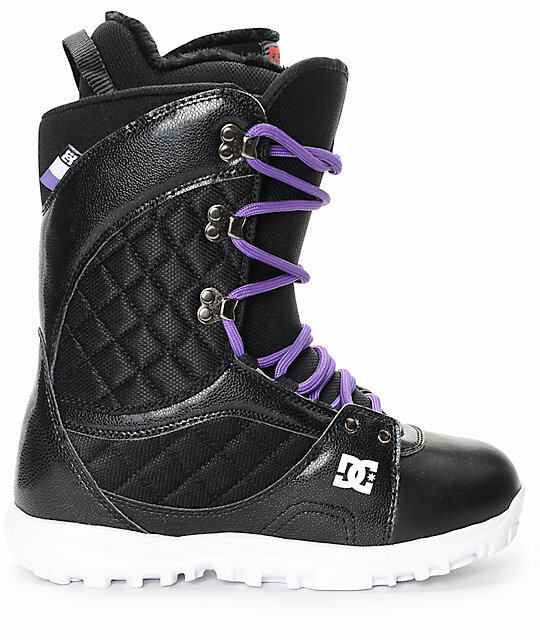 2017 Karma Black Womens Snowboard Boot by DC. Red Liner uses a multi-layer construction with EVA memory foam and thermal regulating fleece lining for comfort and fit. Unilite outsole is durable, cushioning and dampening with reduced weight and improved traction that will prevent snow buildup on tread.